The recent addition of the X11-Gost algorithm on NiceHash that is being used by SIBCoin (SIB) has increased the user interest in the coin and the algorithm as expected. 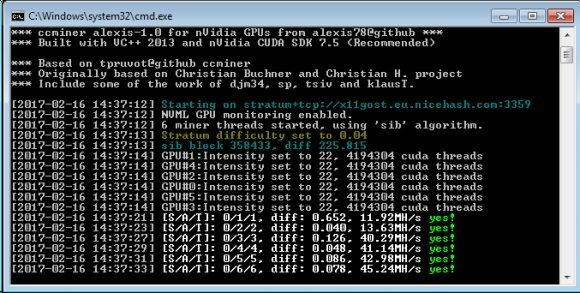 NiceHash has recommended the use of the latest release of ccMiner by tpruvot for X11-Gost support on their servers, but it seems that this is not the fastest solution available to Nvidia miners as was pointed out to us. 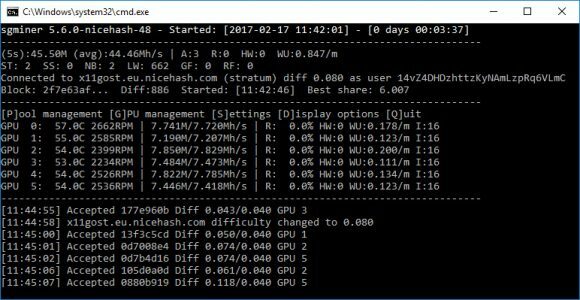 While ccminer v1.8.4 from tpruvot does about 8 MHs on a stock GTX 1070 GPU, but you can get faster speeds on the same hardware by using the latest ccMiner fork from alexis 78 (source). 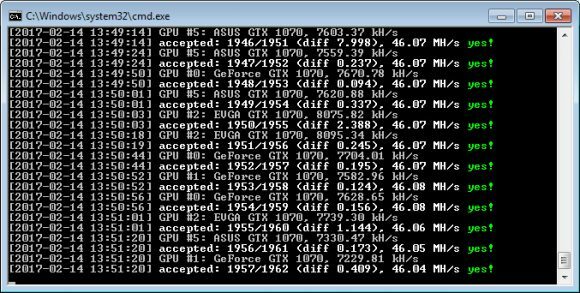 We have compiled a 64-bit Windows binary with Compute 5.x support and CUDA 7.5 for Nvidia Maxwell GPUs from the latest source for mining X11-Gost (SIBCoin) and with it you can get about 10-11 MHs on a stock GTX 1070 GPU. Do note that on mining rigs with multiple GPUs you might need to increase the amount of virtual memory (SWAP file) if you have less system memory in order to be able to run the miner with the default high intensity. On a 6x GTX 1070 GPUs mining rig with 8GB RAM we’ve had to increase the virtual memory to 24GB in order to be able to run the miner properly at the default intensity of 22 set for the X11-Gost algorithm in the miner, otherwise the miner just crashes… 8GB RAM and 20GB SWAP file was not enough apparently. You can now start selling your hashrate or alternatively buying such for the X11-Gost algorithm used by SIBCoin (SIB) on NiceHash. SIBCoin is mostly supported by the Russian community, but in the last couple of months it has been growing steadily and the addition from NiceHash may help in the coin getting more interest from the international crypto community. The coin has a CPU miner, though not much useful nowadays with the availability of GPU miners. You can download the latest release ccMiner by tpruvot for Nvidia CUDA support of SIB and NiceHash or the latest NiceHash sgminer fork for AMD OpenCL GPUs. The latest release of the NiceHash Miner v1.7.5.0 software also comes with built-in support for the new X11-Gost algorithm used by SIB.